Perfectly positioned on an upper floor of Portico, the prestigious re-development of the Old Scots Church, this exceptionally well presented, north facing corner one bedroom plus study provides an abundance of natural light throughout its impressive 101sqm loft style layout. Complimented by striking designer interiors and a backdrop that capturing the CBD skyline & sparkling harbour the stylish modern living space exudes an urban inner city lifestyle. An open plan, modern gas kitchen is completed with Smeg appliances & ample cabinetry with additional features including internal laundry, private loft bedroom with versatile study, floor to ceiling glazing allowing for abundant light and open vista, polished timber flooring, air conditioning and full service 24 hour concierge, security and secure parking. 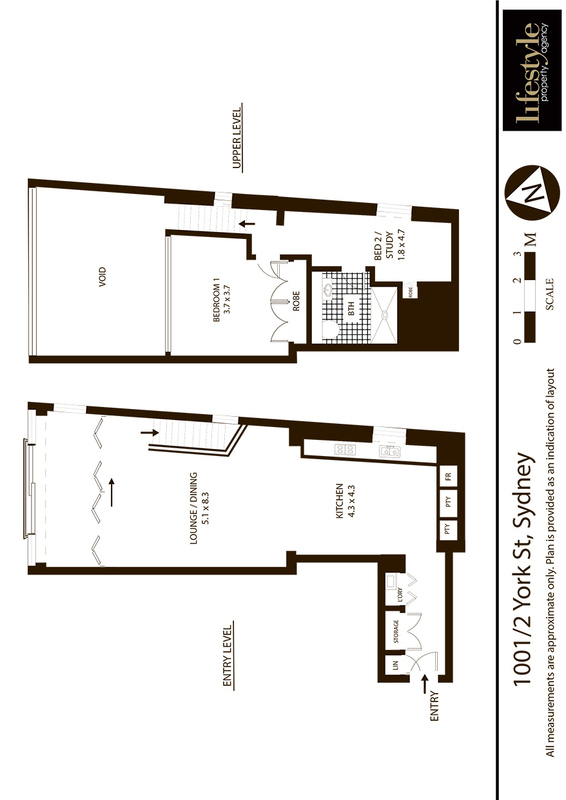 Completed in 2006, this landmark building is centrally located in the heart of Sydney’s northern CBD with a fantastic city lifestyle at your doorstep. The Rocks, Circular Quay, Opera House and King Street Wharf provide vibrant year round appeal with some of Sydney’s finest restaurants, shopping and entertainment precincts within walkable reach.